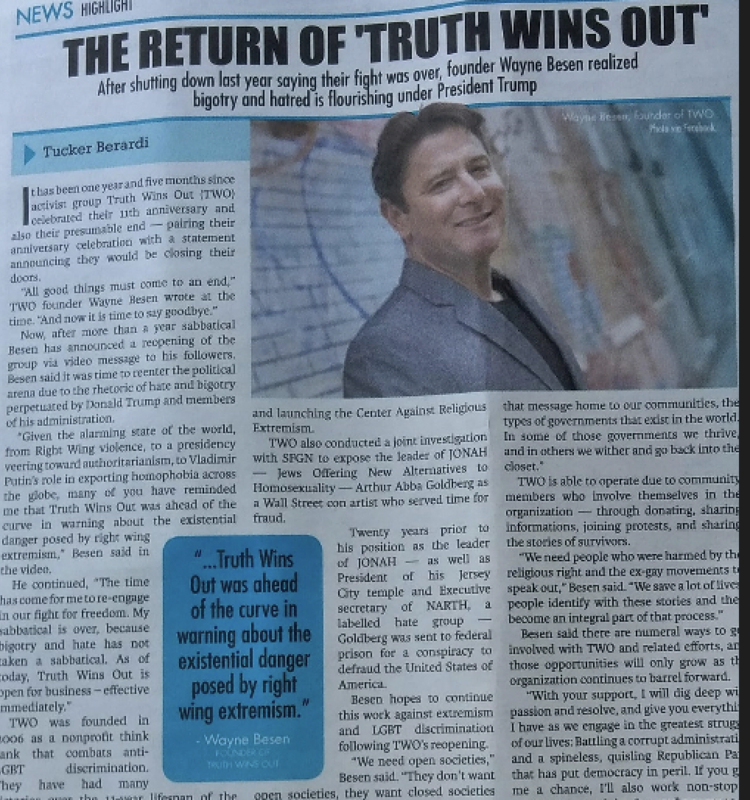 It has been one year and five months since activist group Truth Wins Out (TWO) celebrated their 11th anniversary and also their presumable end — pairing their anniversary celebration with a statement announcing they would be closing their doors. Now, after more than a year sabbatical Besen has announced a reopening of the group via video message to his followers. Besen said it was time to reenter the political arena due to the rhetoric of hate and bigotry perpetuated by Donald Trump and members of his administration. “Given the alarming state of the world, from Right Wing violence, to a presidency veering toward authoritarianism, to Vladimir Putin’s role in exporting homophobia across the globe, many of you have reminded me that Truth Wins Out was ahead of the curve in warning about the existential danger posed by right wing extremism,” Besen said in the video.